Treasure Beach is a gem for travelers in search of the offbeat. 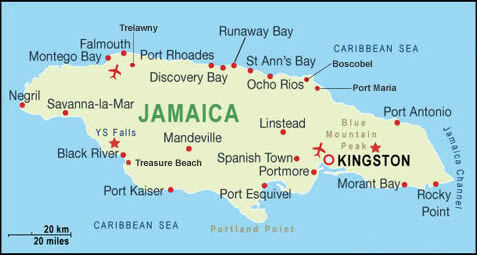 You'd find a more authentically charming and relaxing place in Jamaica. Treasure Beach is the generic name given to four coves  Billy's Bay, Frenchmans's Bay, Calabash Bay and Great Pedro Bay  that stretch for several miles south of Starve Gut Bay. Their rocky headlands separate lonesome coralcolored sand beaches. Treasure Beach is remote, untouched by human hands and the local folks would like it to remain so. Only the privilege few have experienced the serenity and laid back life in on the South Coast. Those who have visited have much to tell with glee the sheer pleasure of idling the days away in hammock under shaded tree, feeling the sand as it caress your feet and enjoying the heavenly scent of calm sea breeze. The Treasure Beach area offers varied accommodation to any traveler and even though it's a long drive from Montego Bay or Kingston, the ride is well worth the effort. With good roads, getting to Treasure Beach is now much easier. It is no surprise that Treasure Beach is fast becoming a new destination for returning visitors to the island. The nearest local attraction is in Black River, St. Elizabeth  The Black River Tour.